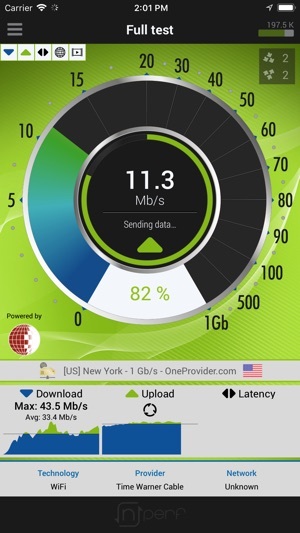 More than a simple speed test, nPerf brings you the best and the fullest mobile connection quality measurement tool up to 1 Gb/s speeds! Full QoS test: In few seconds, test your bitrate speed, latency, browsing speed and video streaming quality on your mobile device. Comparison function: Compare your results with those of others users and for each provider with a real time barometer. 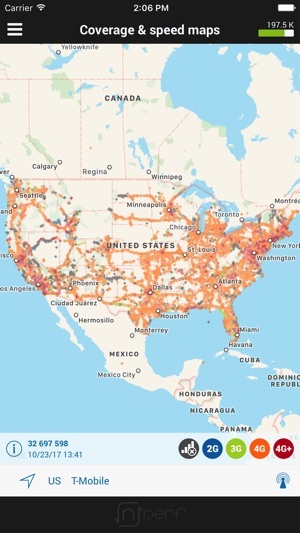 Interactive map: Check network coverage and carriers performances in your area. All your results are saved in an history with all tests locations on a map. Easily share your results on social networks with nPerf sharing pictures which present a useful summary of your test. Customize your application by switching the background theme using the Settings. nPerf relies on an homemade top technology and a wordwide high speed servers network which can deliver the bitrate you need for speed tests. With nPerf, you do not blow up your data plan: with many optimizations, testing consumes up to 2 times less data than competing speed tests. In addition, a data indicator will notify you if the monthly threshold you can set in the menu Settings is exceeded. All connection types can be tested over 1 Gb/s speeds ! If you represents an hoster or ISP company and want to support nPerf project by providing a speed test server, please contact us. Your native language is not supported yet? You want to contribute to the nPerf project? 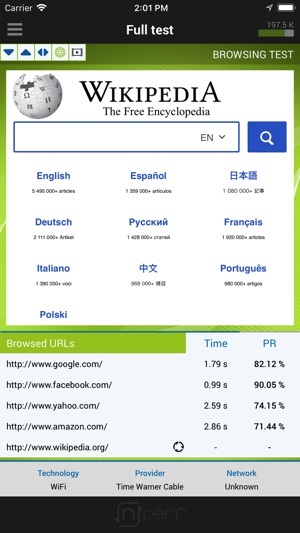 Contact us if you want to translate nPerf in your language. You'll get a lifetime premium subscription on all platforms. After using a number of Speed Test tools this one is by far the easiest to use and the closest to the real thing. 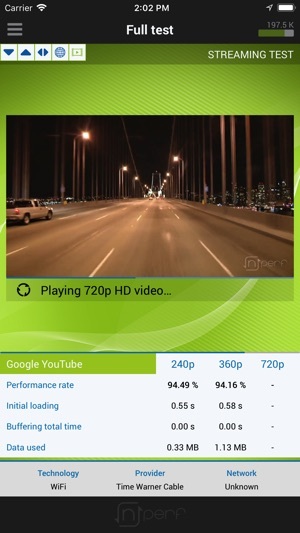 Most speed test tools use Ping tests to give you some kind of information as to speed of your connection this one goes the distance by using actual phrases and returns a closer figure as to what's really happening with your upload and download speeds. 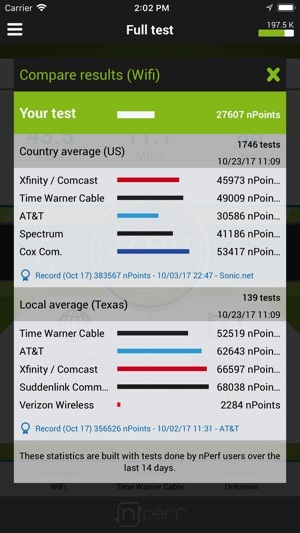 I would most certainly recommend it to anyone needing a speed test tool on the fly! my recommendation, have options for file size to be used for testing. These are too short test files you have here for averaging method.. Ookla is a good reference.. also need to expand server locations.. ookla does not give you the option of selecting multiple test streams per your need vs this app does. This is a very good feature to measure full capacity and throughout potential of a site during busy and non busy hours.. but again, need bigger testing file size.. Goes above and beyond any other speed testing app. Found that this one gives you all the information that you need to check the performance of your network. I would highly recommend to any person wanting network performance information.